Russell T. Davies says that he wants to leave Torchwood in good health before he moves on to his next project. Davies, creator of Doctor Who spin-off show, Torchwood, says that he's pretty much done with sci-fi, and his next project will be something more down-to-earth. Davies' association with the science-fiction genre stretches back nearly 20 years, but he's also written a number of acclaimed, non-sci-fi shows, like Queer as Folk and Casanova. In an interview with the BBC, Davies said that he had destroyed, and saved, the world a few too many times, and that it was time to do something different. He hoped to leave Torchwood in good health for whoever would step into his role after him. The new season of Torchwood moves away from the show's usual home in Cardiff, Wales, but Davies said that the Welsh elements of the show never leave it. The ten-episode season, subtitled "Miracle Day," will pose the question of what would happen if no one on Earth died, and will see the team travel to places like Los Angeles, Washington and Buenos Aires. Davies also talked about his decision to leave Doctor Who. He said that he didn't regret his choice, and in many ways was relieved, as it meant he didn't have to keep coming up with the material. He still watched the show, however, calling it "literally the best show in the world," and thought that his insider knowledge meant that he enjoyed it all the more. 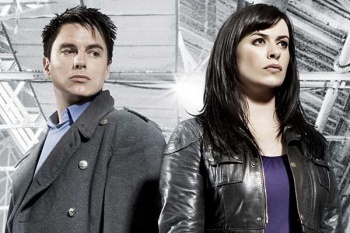 Torchwood: Miracle Day will start its run in the summer. The producers hope to keep the US and UK runs of the show, which is a co-production with the American network Starz, as close together as possible.